Sittard-Geleen (NL), 26 May 2016 – Twan Beurskens, Member of the Provincial Executive for Economy and Knowledge Infrastructure for the Province of Limburg, has opened the new Flowid plant at Brightlands Chemelot Campus in Sittard-Geleen. At the heart of this plant is a revolutionary new type of chemical reactor. The SpinPro Reactor is up to 100,000 times smaller than conventional reactors, making it much safer, more efficient and more environmentally-friendly. 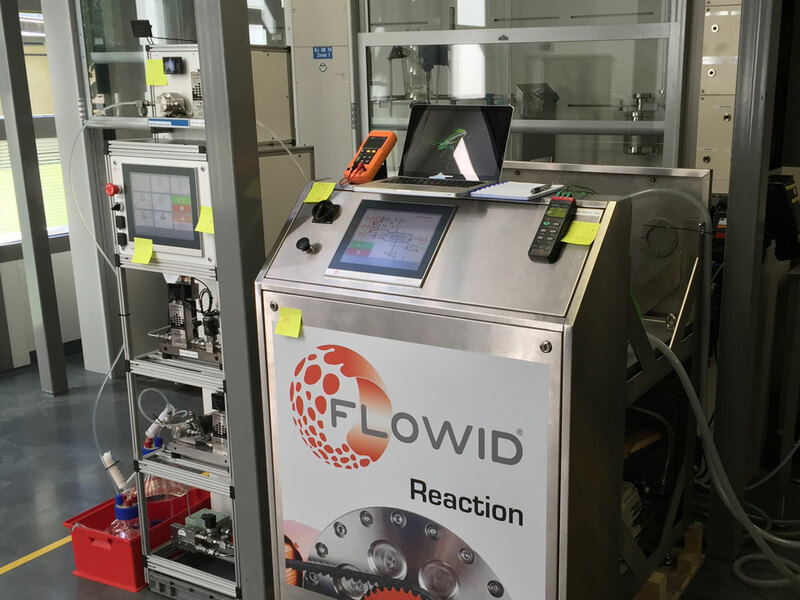 Flowid from Eindhoven found partners in Eindhoven University of Technology (TU/e), Brightlands Chemelot Campus and Chemelot InSciTe who were not afraid to take this step and invest in the plant. The Flowid facility has been installed on new premises. These form part of a complex of halls, in which various companies have pilot plants. These companies want to achieve technological breakthroughs through close collaboration. Chemelot InSciTe and Flowid were the first companies to officially open their plant. Chemelot InSciTe (Institute for Science and Technology) also uses the premises and will perform extensive research with the Flowid facility during the coming years into the development and improvement of bio-based production processes. Much research still needs to be done on the most adequate conversion of biomass into usable building blocks for the future. Prior to the light show, during which the facility was unveiled, Marco Waas from AkzoNobel and Gert-Jan Gruter from Avantium, both key players in the industry, presented their vision on the future. “We are delighted about the collaboration with Flowid and the TU/e. Innovation is a core element of AkzoNobel’s corporate strategy and this collaboration enables us to perform experiments in a pilot plant and at the same time increase our theoretical insight,” says Marco Waas. The patented SpinPro technology will create more jobs and revenue for the supplying industry. The market targeted by Flowid is worth hundreds of millions of euros. At present, the first SpinPro systems have already been sold to the industry. 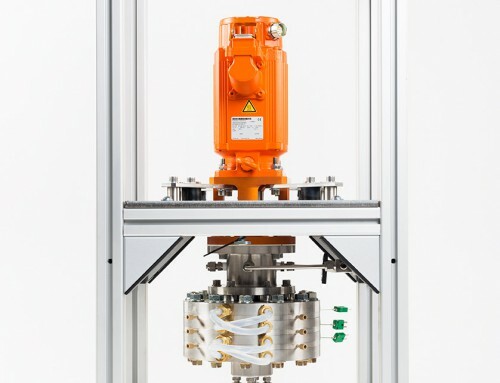 Spinning-disc technology, the basic idea behind the SpinPro Reactor, was developed at TU/e. 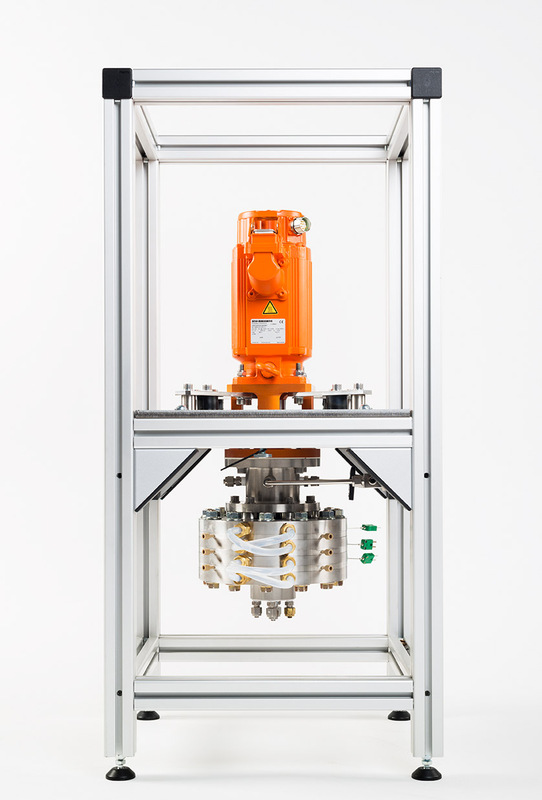 In a SpinPro Reactor, various liquids are fed from above onto horizontally positioned discs. The discs, about the size of a CD, rotate rapidly in a tight-fitting casing. Because of the special force field, the substances mix almost perfectly while being pumped along the spinning discs within a few seconds. 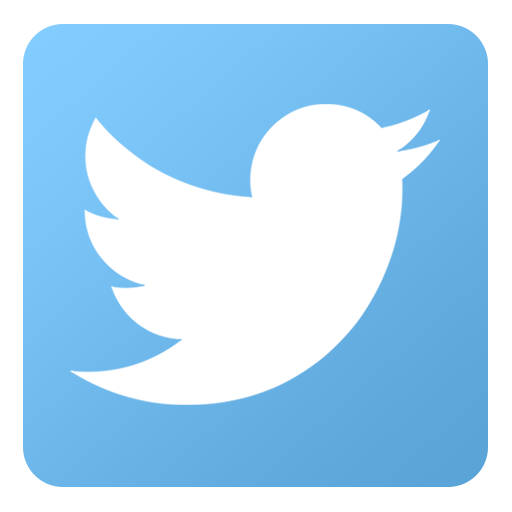 The substances enter into a chemical reaction very rapidly in highly controlled conditions. This allows Flowid to make optimum use of the chemistry, whereas the chemistry is hindered by all kinds of limitations in traditional technology. View the animated video here for a further explanation of SpinPro technology: link. SpinPro technology stands out from traditional technologies due to the smaller size of the reactors, a reduced use of energy and raw materials, less or no formation of by-products and the lower operational and investment costs. The small dimensions safeguard the intrinsic safety of the system. It makes small-scale and even de-centralized production possible. This is a high-value feature, since bio-based raw materials are preferably processed locally at the source (to prevent transport of water in the biomass). Brightlands Chemelot Campus offered Flowid the opportunity to upscale SpinPro technology from a laboratory setting to an industrial environment. This made it possible to increase the production capacity to 80 m3 per day, which is more than enough for many applications. The campus offers an environment where the requirements relating to safety and infrastructure are met. Additionally, potential buyers are also present at the campus. 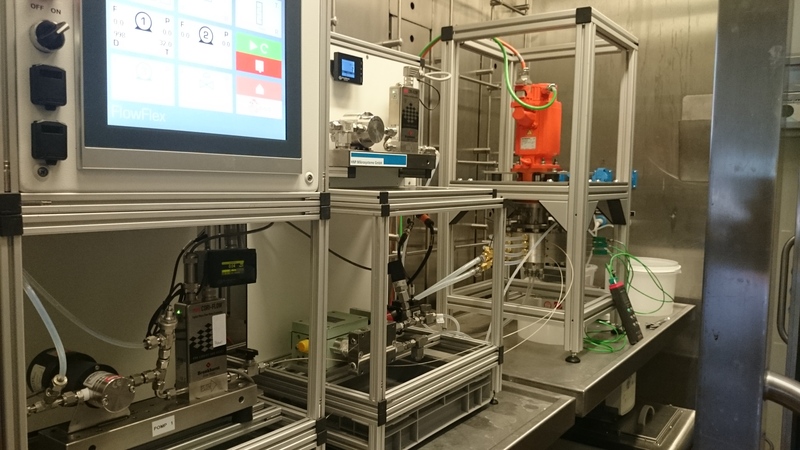 The reactor is highly suitable for bio-based production processes, and therefore Flowid is a good fit for other activities at Brightlands Chemelot Campus, in particular at Chemelot InSciTe. Among other things, this institute focuses on the development, production, testing and perfection of building blocks for bio-based materials. InSciTe uses the Flowid facility for this purpose. The other users of the new hall complex at the campus are also involved in activities, such as the production of building blocks for bio-based materials. The Flowid plant is the tangible result of what is called the “Spin-in” project, which involved an investment of 1.7 million euros. Over 700,000 euros of that was funding from the South Netherlands Operational Program (OP-Zuid). This is a joint funding program by the provinces of Limburg, Brabant and Zeeland, together with the cities of Breda, Tilburg, ’s‑Hertogenbosch, Eindhoven, Helmond, Venlo, Sittard-Geleen, Heerlen and Maastricht for activities that are co-funded by the European Regional Development Fund (ERDF). The funding for this project allocated through OP-Zuid is funded by ERDF and the central government. Flowid had previously received a Valorization Grant of 225,000 euros from Technologiestichting STW to market the SpinPro technology. Eindhoven University of Technology (TU/e) is a research university that specializes in engineering, science & technology. The spinning-disc technology was developed by the Chemical Reactor Engineering research group, which was also the birthplace of Flowid. The aim of this research group is to understand and monitor the interaction between physical transport phenomena, catalytic activity and reaction and separation processes for various applications. 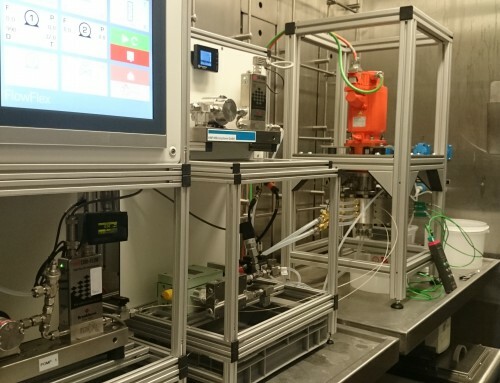 The business unit Specialty Chemicals of AkzoNobel and the TU/e have recently started a new researchprogram, 12 researchers together with AkzoNobel employees collaborate on various applications using SpinPro technology. Flowid is a spin-off of Eindhoven University of Technology. 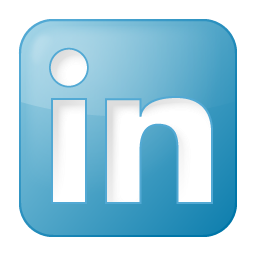 The company develops, builds and tests radically innovative process technology solutions for the process industry and by now has accumulated eight years of experience in continuous process solutions. Areas of application on which Flowid mainly focuses are the fine-chemical and pharmaceutical sectors. Flowid employs 12 staff members. 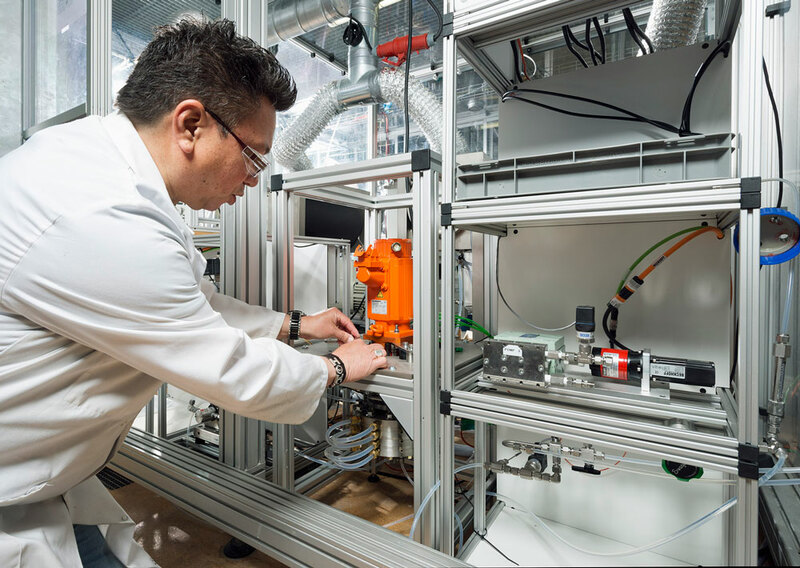 At Brightlands Chemelot Campus, research and development are performed and education is provided in the field of chemistry and materials, and related life sciences. The focus is on high-performance materials, biomedical materials and bio-based materials. The campus is developing into a creative breeding ground for innovation and for new companies with thousands of highly trained employees. This dynamic situation is partly the result of collaboration between the companies, educational institutes and knowledge institutes, as well as the government. The campus provides an active contribution, among other things, by facilitating the construction of pilot plants and accelerating the development of new business. Under the name Brightlands, Chemelot Campus collaborates with Maastricht Health Campus, Campus Greenport Venlo and Smart Services Campus in Heerlen, all of which are located in Limburg. Brightlands is also involved in the research program of Maastricht University, Zuyd Hogeschool and the Province of Limburg. The Chemelot Institute for Science & Technology (InSciTe) is a public-private institute for the development and valorization of biobased and biomedical materials. From its base in the south of the Netherlands, Chemelot InSciTe rises to the challenges facing our world today: it develops solutions for the sustainable health of an ageing population and for the sustainable production of chemicals and materials. Founding Fathers DSM, Maastricht University and University Medical Center, Eindhoven University of Technology and the Provincie Limburg invite industrial and academic partners around the world to join them in developing healing biomedical materials for high quality affordable healthcare and processes to produce biobased materials from renewable raw materials that do not compete with the food chain. With its physical nucleus at Brightlands Chemelot Campus, Chemelot InSciTe enables entrepreneurship, expertise, experimentation and education in an open innovation network. The South Netherlands Operational Program (OP-Zuid) is a joint funding program by the provinces of Zeeland, Brabant and Limburg, together with the cities of Breda, Tilburg, ’s-Hertogenbosch, Eindhoven, Helmond, Venlo, Sittard-Geleen, Heerlen and Maastricht. It is an economic boost program that is partly funded by the European Regional Development Fund (ERDF) which has contributed almost €186 million and by the government which has contributed €46 million. The main objectives of OP-Zuid are promoting competitiveness, sustainable economic growth and improving employment in the south of the Netherlands.